이번에 리뷰할 아티스트는 James Poulton입니다. 들어보면 아시겠지만 시작부터 넓은 공간감으로 시작합니다. 트랜스답게 인트로는 단조롭게 진행해내가지만 중간중간 리듬의 변화와 리드 신스의 컷오프 조절로 지루함을 덜어내고 있습니다. 특히 브레이크다운 직전에 바뀌는 베이스라인은 전형적인 트랜스다운 전개입니다. 이 곡에서 가장 아름다운 부분은 바로 2분 19초대부터 이루어지는 브레이크다운입니다. 넓은 공간감을 왼쪽에서 각인시켜주는 신스, 굵고 힘있는 베이스라인, 단조롭지만 시원하고 카랑카랑한 수퍼펄스 계열 리드신스. 시원한 트랜스는 정말 이런 것이다라고 누구한테 얘기할 수 있을 정도로 잘 만들었습니다. 메인 멜로디와 베이스라인은 사실 정말 단순합니다. 하지만 그런 단순한 멜로디를 가지고도 어떻게 가꿔나가느냐에 따라 이런 곡이 나올 수도 있다는 걸 잘 일깨워주는 곡입니다. 앞곡에서 알 수 있듯이 James Poulton은 요즘에는 거의 찾아보기 힘든 업리프팅 트랜스 아티스트로, 넓은 공간감과 시원한 신스, 트랜스의 왕도와 같은 기승전결 구조의 음악을 만드는 것이 특징입니다. UK 출신 아티스트로, 사진을 보면 알 수 있듯이 흔한 섬나라의 트랜스쟁이처럼 생겼네요. 아래는 James Poulton의 홈페이지에 있는 바이오그래피입니다. 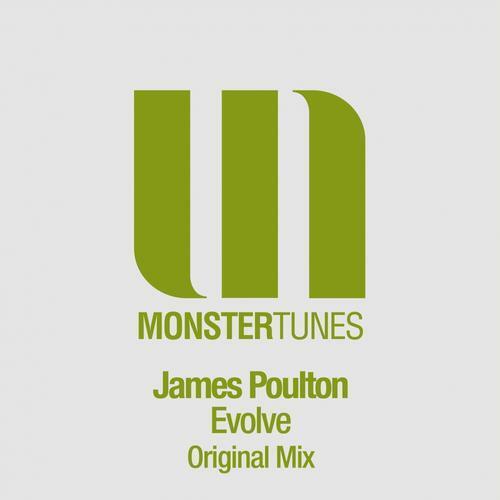 UK Trance / Progressive DJ and Producer James Poulton had an early start in music, playing and writing classically in his early years, eventually progressing into Rock music inspired by artists Joe Satriani and Steve Vai. 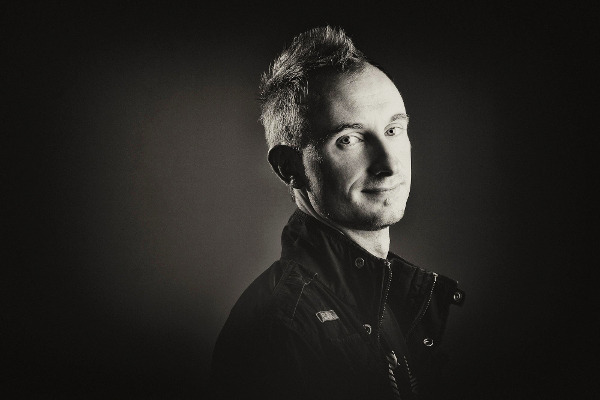 On hearing a Cream Ibiza compilation he crossed over to dance music and started his DJ career playing on the London scene. Not content with only playing records and wanting to materialise the melodies previously written, he set about learning the basics of Electronic Music Production. Following positive crowd and DJ reactions to early productions, he went on to concentrate his efforts in late 2010 and dedicated 100% of his free time to the studio. With many tracks already written he focused on self-studying Sound Design, Audio Engineering and Mastering in order to secure his first release. The resulting track was his first demo “Anodyne”. Signed by Monster Tunes after a copy was passed from Ruben Nyborg to Thomas DeColita and Ben Nicky, the track gained support from Armin Van Buuren, Gareth Emery, Paul Oakenfold, John ‘O Callaghan, Mark Eteson and Ben Nicky to name a few. Also featuring on a number of radio shows including 2 ASOT plays by Armin Van Buuren, The Gareth Emery Podcast and Paul Oakenfold’s Planet Perfecto show. 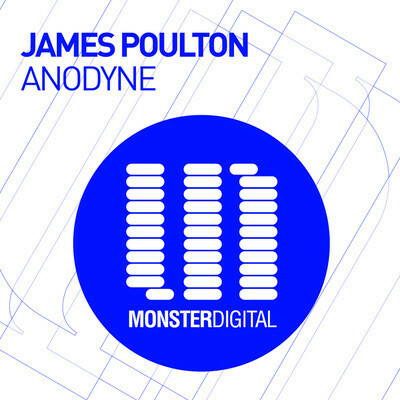 Anodyne quickly climbed the download charts including the Beatport Trance Top 100 (Number 12) and Audiojelly (Number 2) in addition to a great Mixmag review. Following a remix request he then produced an uplifting rework of “Rene Dale – Reset”. After being re-licensed by Monster Tunes the remix went on to be featured by Armin Van Buuren on ASOT with further support from Giuseppe Ottaviani and many others. Having just completed a guest mix for the Monster Tunes Radio Show with Mark Eteson, he is currently at work on several original tracks and remixes covering both Trance and Progressive. In addition, James is now back to playing regularly in London with sets extending through Electro, Trance, Progressive Trance and Progressive House with increasing DJ bookings including venues Brixton Academy and Ministry of Sound, expect more from him very soon. …어린 시절부터 작곡을 잡았다는 것과 락을 파고 있었다는게 좀 인상적이네요. 일렉을 접한 시점과 데뷔 시점이 상당히 짧은게 특징인데, 실제로 저도 2012년 초에 Audiojelly에서 이 분이 작곡한 Anodyne이 차트 1위를 하고 있길래 그제서야 접했었고, 당시엔 프로그레시브 트랜스가 거의 독점하다시피 하던 때였는데 그런 와중에 사막의 오아시스처럼 나타난, 정석의 정석을 따르는 멜로딕한 업리프팅 트랜스여서 굉장히 좋아했던 기억이 있습니다. 시원하고 넓은 음악을 좋아하는 제 취향을 직격으로 때리셔서 이 분이 쓴 곡은 다 사려고 뒤져봤는데 지금까지 공개한 곡이 얼마 없어 좀 아쉽네요. 두 번째 곡인 Evolve입니다. 이 곡의 감상포인트는 메인멜로디가 아니라 전체적인 분위기입니다. 초반은 Poulton답게 넓은 공간감과 단조로운 느낌으로 진행해나가다가, 인트로 중반부부터 희망찬 분위기로 쭈욱 진행해나갑니다. 특히 브레이크다운에서는 아주 넓고 광활한 분위기를 연출해주며, 중간부터 나오는 메인신스 역시 상당히 깊은 리버브가 먹힌 상태로 나타납니다. 제목에서와 같이 이 곡은 이런식으로 단조로운 느낌에서 광활하고 희망찬 느낌으로 변해가는 과정을 나타낸 것이 아닐까 싶습니다. 세 번째 곡인 Reset 리믹스입니다. Poulton 특유의 넓은 공간감과 시원한 신스를 바탕으로 원곡의 슬픈 느낌의 멜로디를 잘 표현해냈습니다. 개인적인 느낌으로는 Anodyne과 Evolve를 적당히 섞은 듯한 인상을 주네요. 사실 스타일 자체가 일관적이니 그렇게 느낄 수 밖에 없습니다만… 어쨌든 저는 이런 스타일 굉장히 좋아합니다. 이상으로 James Poulton의 곡들은 다 둘러보았습니다. 들어보시고 살 마음이 생기시면 Beatport, Audiojelly, JunoDownload 등에서 James Poulton 찾아보시면 됩니다.